A selection of Videos from recent years racing. Late in the CSCC’s Spa Ardennes Classic, I found clear track and got two consistent quick laps. Both these laps were the Overall fastest of the race, quicker than the higher class cars and race winner. Due to a silly error in Saturday’s Race One, I started this race from the back of the grid, 58th position, working with Jonathan Mitchell, I worked up through the field to finish 4th and only 13 seconds behind the leader. 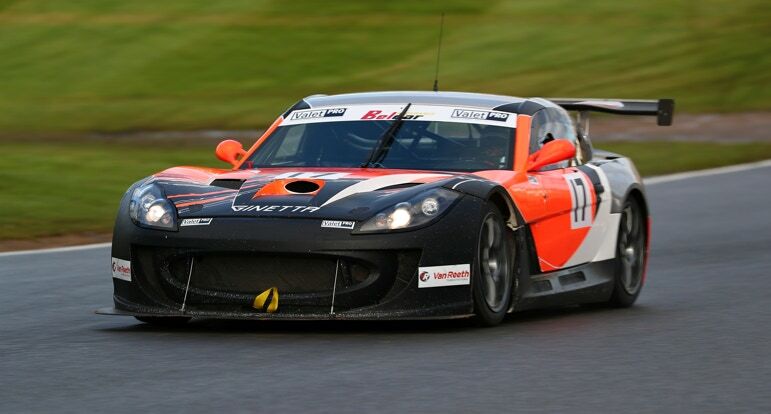 A test day at Silverstone in the Ginetta G55, old tyres, but the day enabled us to experiment with ARB and damping adjustments. A variation of the Spa 2017 footage. Two consecutive lap comparisons. The Racelogic Video Vbox provides an excellent tool for instructions and self improvement. Amongst other tools, it enables lap comparison, line comparison, broken down into sectors, showing when braking and power were applied. Classic Sports Car Club Magnificent 7 race at Brands Hatch Indy circuit, 2016. Started 4th on the grid, finished 4th overall.